A great gift this holiday season is the interactive books for kids. They allow children to get involved with reading and actually get them to start enjoying this hobby over playing video games. This can be a challenge with kids these days because gaming systems and tech toys are the cool and hip thing to grab from Santa’s gift bag. With an interactive book those will be long forgotten. Hallmark provides more than just cards now! They have come out with a great line of storybooks that will get children to focus on reading again. Their Interactive Story Buddies are probably one of the best interactive books for kids. They allow the whole family to partake in the magic and embark on a new and fun journey. With the new characters and enhanced technology, it will be hard to keep children away from all the great entertainment and they will even have a buddy to help them along. They can choose from two amazingly cute plush buddies. Jingle, the Husky Pup and his story Jingle All The Way or his friend Bell, the Husky Pup with her story Bell’s Big Move. Story Buddies interactive books also come with an audio CD and online and mobile games in order to get the whole family to participate in all of the fun. Hallmark keeps the amusement going with their new storybook line, Be A Part Of The Story. This allows children to interact with the characters in the book. When specific highlighted lines are read out loud, the storybook character will ask a special question or choice for the child to answer. Upon their answer, the story will continue. It is a great learning experience and all around good time! What will Hallmark think of next? Easy! Recordable Storybooks, which include some of the nostalgic classics such as “Rudolph the Red Nosed Reindeer,” “Jingle’s Magic Christmas” and Disney’s “All I Want for Christmas”. With just a couple of steps, the whole family can play a roll in the story. No need to find the perfect story time book, because the family just created their own! Hallmark wants to share another holiday gift with Makobi Scribe readers: 30 percent off your personalized greetings order at Hallmark.com! Spread holiday cheer with customized greetings and photo cards, and use the code BLOG30 at checkout. The offer is valid through the first of next year, so you’ll have plenty of time to tackle your holiday card list – enjoy! Want to win a Holiday Gift Pack? Enter on The GT form below. My favorite Hallmark products are their selection of Spanish-language cards. It’s so hard to find cards for Spanish-speaking family members but Hallmark always has what I need. The nutcracker snowflake ballerina ornament! Love it! I love the interactive books. I think they are such a great idea! The Jingle and Bell stories. I like the recordable stories. Such a great idea for grandparents! My favorite hallmark item is their wrapping paper! I love hallmarks recordable storybooks! My favorite product is The Christmas Star Storybook and Ornament Set. Love the interactive books and snowglobes. I like the Charlie Brown interactive book. I like the Jingle interactive story book. Saw it on TV and thought it was so cute. I just love the bear!! I liove Nugget! the interactive story buddy. I like the interactive Scooby-Doo Book. I like the Snowflake Spin Keepsake Ornaments. I love all the interactive storybooks!! I love the interactive books/toys, and the Christmas ornaments. I can never choose just one for my favorite. i love all your cards, all your buddies and books! i lvoe all your products its to hard to just pick one!! I like the Snowflake Spin keepsake ornament! I can’t choose between all the interactive buddies but I LOVE THEM ALL! Interactive books are my favorite! we collect the fire engine ornaments every year. Those are our fav. My favorite is Fox—You Can Do It! Torn between Braille Cards, Keepsake ornaments and precious moments or jim shore figurines! It’s all so awesome! My fave is the Joe Cool Rocks! I like the grandson keepsake ornament. I like the keepsakes ornaments. Snowflake Ballerina Ornament is a fave! Interactive Story Buddy™ is really cute. My Great Niece would really like this. I like The Smurfs Party Plates! I love the Movin to the Music Frog. It’s adorable. Nuggets first day of school looks so cute! I always love the Keepsake Ornaments. We get one every year! Books! I love all of the children’s books. The interactive ones are terrific. My favorite is Bigsby or maybe Husky. I like them both. So cute. My favorite is always the Keepsake Ornaments. I <3 them so much! Oh, I love Johnny Depp! So no brainer here, Its hands down,the Pirates of the Carribbean Captain Jack Sparrow, Christmas Tree Decoration called “On Stranger Tides” wow, Johnny is one handsome Pirate!! I can’t decide on which one I love more! So here they are: Until We Hug Again™ Bear, Until We Hug Again™ Bunny, Bigsby™, Abigail™, Jingle™. But I think I love Bigsby the most! my favorite product are the hoops & yoyo ecards. The cards – so many to choose from! I love the jingle buddy! Look Who’s Here to Say Goodnight Peek-a-Boo Album! Bigsy is so adorable & my grand daughter would just love it, she loves books!!! I really like the Scooby Doo Interactive Story Buddy. My favorite products are cards and movies. I have never found a Hallmark Movie I haven’t enjoyed. Oh I need Bigsby! My grandchildren would adore him! Although I think Watson is pretty cute too. I like the keepsake ornaments. They are adorable. I find this soooo adorable –> the Jingle (Interactive Story Buddy)!! I love the Monsters, Inc. I love the Scooby Interactive Story Buddy! I like the talking mistletoe. Interactive Story Buddy™ is my favorite! I love the scooby doo interactive book! 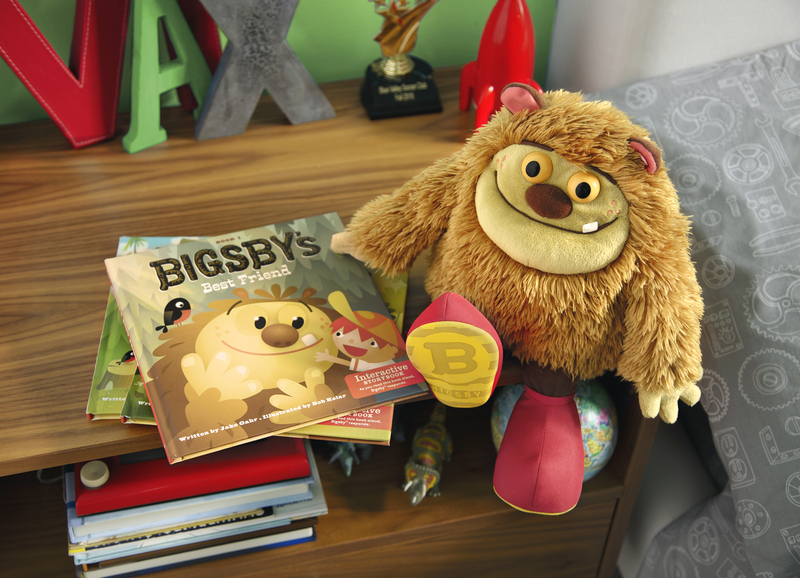 My favorite products are the Bigsby books. I love Bigsby! I like the Fox You Can Do It Book w/Plush. I love the plush doll! The jingle interactive story buddy is great. My daughter would love this. Well, my personal fav Hallmark item is the Maxine things. .I LOVE Maxine.. I like the family tree frame. I love Jingle the dog! I like the interactive story buddy Abby! I love that you can schedule cards to be sent out so you don’t forget someone’s birthday! The Nugget Interactive Story Buddy is so cute! Love it! I love Bell the interactive buddy. Thanks for this giveaway. I love Jingle and Bell interactive storybook and stuffies. The Tangled ALL about the Hair ornament. the keepsake oraments, each of our kids gets to pick one out each year. I like their Memo Mouse Pad, soo cute! I Love the Scooby Doo Story buddy! I love their books! I’d like us to read The Very First Christmas! I like the Scooby-Doo Interactive Story Buddy! The Very First Christmas recordable storybook. I love the That’s What Grandmas Do! Like the interactive “Jingle” the dog! I like the All I Want For Christmas Recordable Storybook. I love the “mystery” ornaments Hallmark had this year! “Under The Same Moon” Recordable Storybook! I love the Mary Poppins Precious Moment Keepsake Ornament! I like the Merry Christmas to All! Keepsake Ornament.